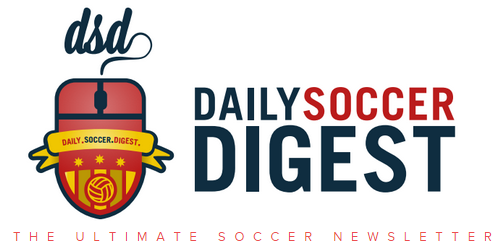 The Daily Soccer Digest is an email newsletter for the most passionate soccer fans. We break down all the top stories, results and highlights from around world soccer in a concise and easy-to-read daily email. Like us on Facebook, follow us on Twitter and Instagram and check out our newsletter archive! Copyright © 2018 DailySoccerDigest, All rights reserved.